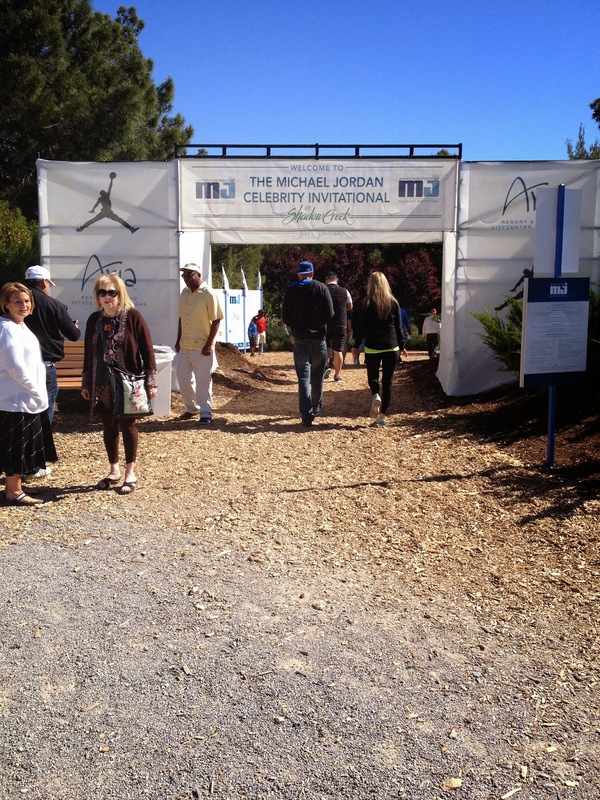 Last weekend we were excited to be invited to attend the Michael Jordan Celebrity Invitational Golf Tournament at Shadow Creek here in Las Vegas. It was a beautiful day out, not too hot and not too cold. 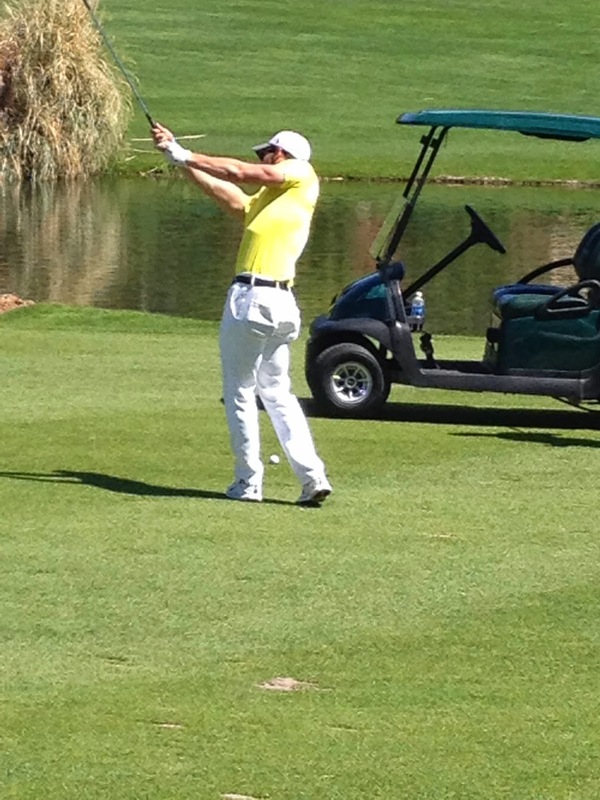 The cool breeze came in the late afternoon, but it was still a great day to spend out on the golf course. It was very exciting to see the celebrities up close! I think that Josh was pretty excited to see someone he admires so much playing a sport he loves. 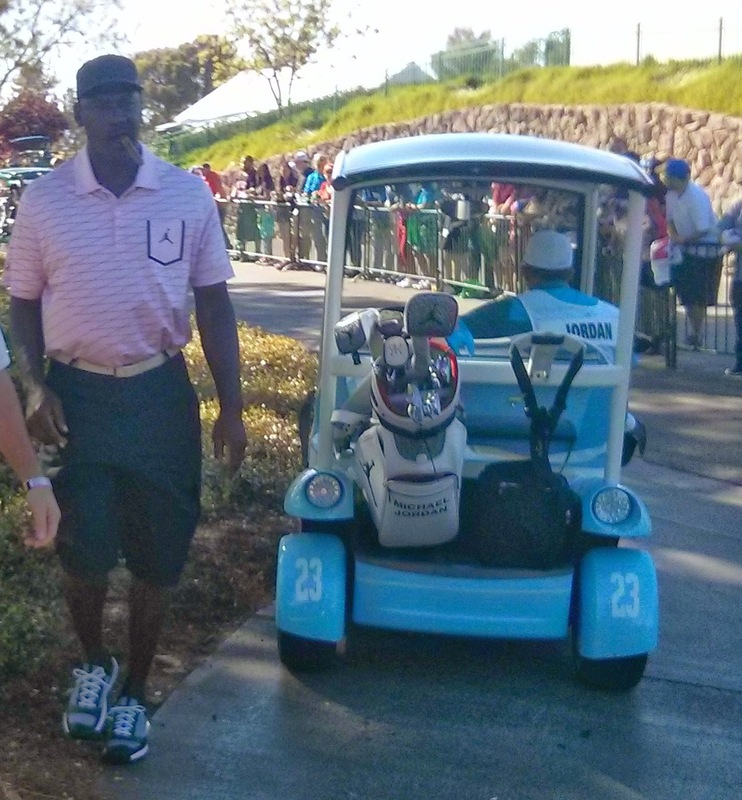 If only he could be on the course with MJ. Hailey was very excited that her best friend, who is also a Make a Wish kid, Amanda was there. These 2 are inseparable. They would quietly go up to the rope and watch the celebrities hit the ball and they would both wave at each one. They caught the eye of a lot of celebrities. One that came up to the girls was Mauricio Umansky. He's one of the top real estate agents in Beverly Hills and is married to Kyle Richards who is on the Real Housewives of Beverly Hills. Yes I'm addicted to all the housewives shows. It's my guilty pleasure. He asked Hailey how old she was and what her Make a Wish was. He signed the girls flag and took a picture with them. Hailey gave him a Hugs for Hailey bracelet and he has since began following Hailey on Twitter!! The one celebrity that Amanda was especially looking forward to was Nick Jonas. This is as close as we were able to get to Nick. He did give us a quick wave as he played passed us. As Amanda was excited Hailey was excited. Just a simple wave and you get such big smiles from the girls! We brought Hailey's stroller for the long walks in-between holes but it didn't bother Hailey because Amanda was by her side the whole time holding her hand. She's such a great friend to Hailey. We got to say hello and get an autograph and a picture with Greg Maddux, a retired major league baseball player. He was very nice to the girls! While at the event, we had to say hello to our favorite people. The ladies at the Make a Wish tent! The girls got a quick autograph from Baseball Pitcher Roger Clemens! 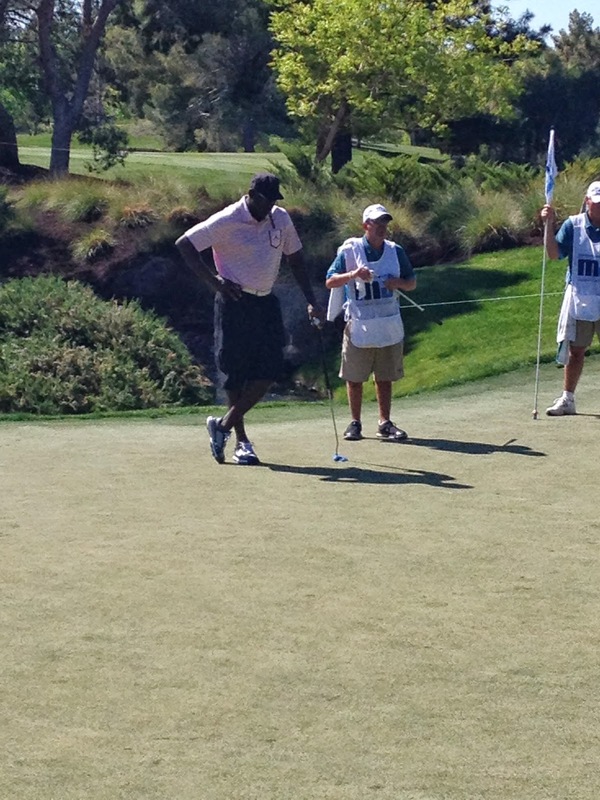 The crowd went WILD when Michael Jordan made his appearance to sign a few autographs for the kids. Even with us in the front row and we had the girls in front of us there was a lot of pushing and shoving. They even said he would only sign for the children, but it didn't stop the adults wanting memorabilia to be autographed. There was even a man there wearing Michael Jordan Shoes on his feet with plastic bags over his shoes striving to get the autograph. Other celebrities we saw that stopped to sign our flags were: Ray Ramano from Everyone Loves Raymond, but the girls knew him from Ice Age! 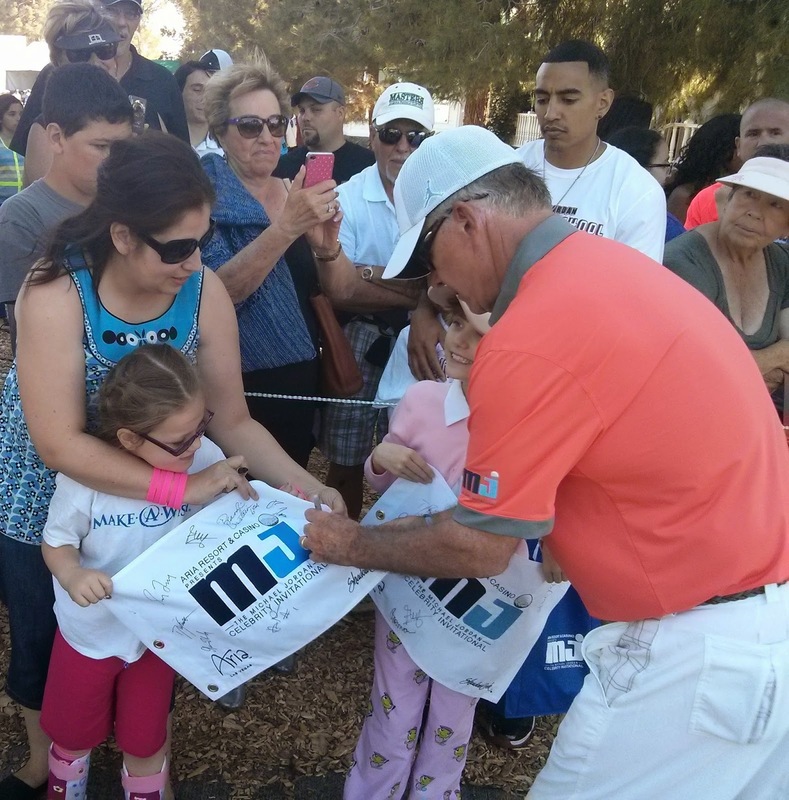 Alan Thicke from Growing Pains stopped to sign their flags. 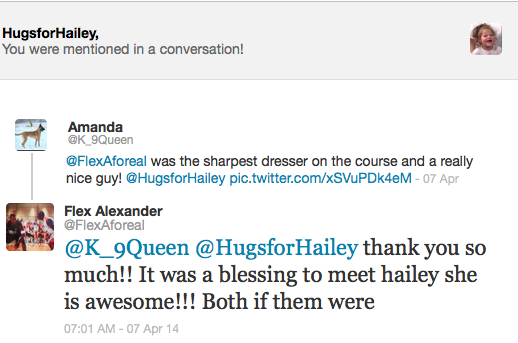 Flex was kind enough to follow Hailey on twitter as well. He even left the girls a message on Twitter! Brandi Chastain, professional soccer player, stopped and really took time with our girls each individually. She asked Hailey her name, how old she was, what her favorite color is. Hailey gave her a H4H bracelet to wear! We owe a HUGE thank you to Daryl who is head of security at Shadow Creek. He saw Hailey and Amanda and started up a sweet conversation with the girls. He asked if they were Wish Kids and they both said yes. He asked me how we were enjoying our day. I said it's been great day. It's events like this that bring smiles to our children's faces and helps us create memories. I told him that Hailey has a terminal brain disease and it's organizations like Make a Wish that help us create those memories that we cherish. Hailey went right up to him and gave him a Hugs for Hailey bracelet. He said that he loved that she was full of smiles. When we went to get autographs for the girls he made sure that the security staff kept the girls safe with all the pushing and shoving that was going on. We really appreciate his help! Very awesome that they offered complimentary photos of families with the golf course as the background. 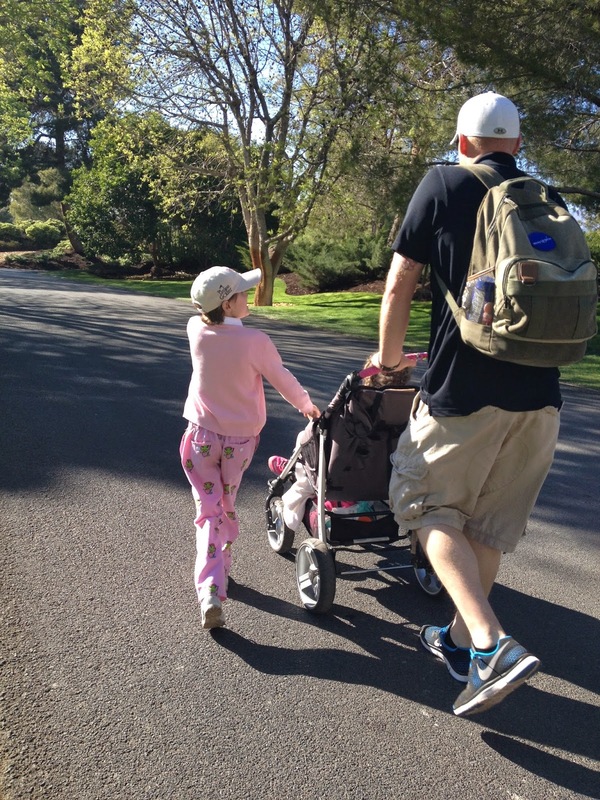 It was another wonderful event that we are grateful we were able to enjoy with Hailey. She had a smile on her face the whole time!